Billy Talent delivered a retrospective hits collection in 2014, and now the band are at work on an album of new material. In a video message, however, drummer Aaron Solowoniuk has revealed that he is not currently recording with the band. As fans may know, he's had MS for more than 15 years, but in the last six months he's suffered a relapse and will be switching up his medical regimen. As a result, Solowoniuk has announced that he'll be temporarily replaced by Alexisonfire's Jordan Hastings. "The first thing they said is that they'll wait for me to get better and figure it out," he says in the video, talking about his bandmates' reaction to the news. "I told them I can't do that right now because I don't know how long it's going to take for me to get better. I'm not going to be able to play drums on this record and I just need to focus on my health while the record's being recorded." While Hastings fills in on skins, though, Solowoniuk will still be present in the studio. 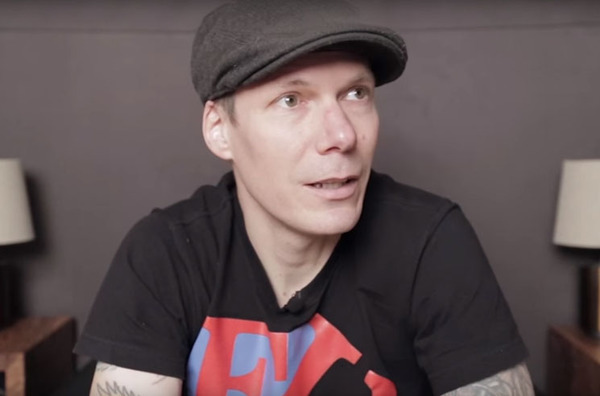 He plans to document the making of the new Billy Talent album with photography and film footage. "Rest assured that I am going to do everything I can to get back on the drums," he tells fans. "But right now I need to step away for a bit and focus on my health." Watch the full video announcement in the player below.